September 2012. Vladivostok,Russia. 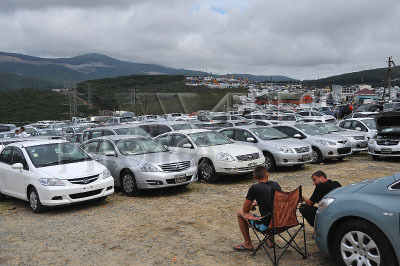 Pictured: The Zelyony Ugol (“Green Corner”)used car market in Vladivostok city of Russia. The Zelyony Ugol car market deals with Japanese second hand cars.